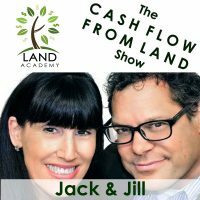 Jill DeWit: Welcome to The Cash Flow From Land Show. 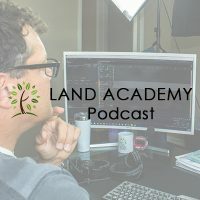 In this episode, Steven and I talk about the property we won’t buy no matter how chap it is. Basically, we have some rules to make our acquisitions easy and eliminate any problems for us and our buyers. Welcome Steve. I’m the host today, so I kind of get to run the show. Jack Butala: I’m loving this. Jack Butala: I’m loving not hosting the show. Jack Butala: You’re just the queen. Jill DeWit: Thank you. You know what? I like that. Thank you. Jack Butala: You’re not the queen of specific stuff, you’re just the queen. Jill DeWit: It’s funny, right this moment, I’ll start the off-topic moment, but then I have to reel you back in. It really goes out there because you have fun. Jack Butala: I know. I like it. Jill DeWit: It’s all good. All right, so let’s talk about … We’ve talked about great deals, how much we’re going to pay for properties, what we expect, what’s interesting is, that doesn’t mean that we’re spending those prices and not getting quality property. Because that’s what this show is about here, and this episode, is we’re going to find the best properties with the right qualities and not spend a lot of money for it. Tell us a little bit about the property, no matter how cheap it is, what won’t you buy? What does that mean to you? 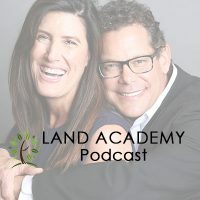 Jack Butala: I’ll tell you, the greater point to this topic is, and maybe the title of the podcast might be, what’s wrong with the land that you’re buying it so inexpensively? Jill DeWit: People think that. Jack Butala: Oh, all the time. Every day. Oh, you can’t buy 40 acres for $4,000. There must be something wrong with it. Jack Butala: The short answer to what we will not buy under any circumstance, is access. Access is a big issues. We talk about the four As all the time. We try to buy property that has all four As, or at the very least, maybe two of the four. The four As are access, affordability, acreage, and attribute. Is it close to the Grand Canyon, or it’s got a water view, or whatever. The more attributes it has, the better, the more acreage in general it has, the better, the more affordable it is, the less expensive it is, the better, and … What was the fourth one? I don’t remember. Jill DeWit: Affordability, access, attributes, acreage. Jack Butala: Properties that I will not buy, I don’t care if they give them away, are properties that have absolutely no access in any way. There’s several counties in southeastern California that have, for whatever reason, I don’t know how they got subdivided or what, but they just have no access, they have helicopter access and that’s it. Jill DeWit: It’s not like they can’t get access, that’s the whole thing too. You can acquire access, but it’s a process. Am I right? Jack Butala: Yeah. There’s one deal that comes to mind. I’ll describe the deal to you. This guy is still, I think he’s finally off of our potential acquisition list. He inherited the property like so many people that we buy property from do. It’s a huge deal. It’s like several hundred acres. The guy’s basically ready to give it to us, because he doesn’t want to pay the taxes any longer, but it’s on a side of a mountain. It’s like rock, there’s nothing you could ever do to this, so is it okay to actually deed the property, get it and then advertise to the world that this is unusable property, unless you’re practicing rock climbing, or you do have a helicopter and that’s where you want to be, and by the way, there’s people that do want that. Jack Butala: Is it okay to buy that and advertise it that way and then sell it somebody? My short answer is no. I think you’re setting yourself up for maybe some short term profit, but not some long term reputation. Jack Butala: That’s the kind of property that … That’s one of the kinds of property that I will not buy regardless. There’s probably a time maybe a long time ago, I may have bought it, but I learned since then that after the fourth, or fifth, or eighth time that you’ve processed a refund on a sick piece of property, there might be something wrong with it. I’ve done that. This is true. We’ve done almost 16,000 deals. I think I’ve processed maybe 10 refunds. Jack Butala: Every property is different. Jack Butala: You’re going to get a real good feel for it after you buy a couple, or look at, or even review 10 or 15 properties, you know. You can tell and look, Google Earth is a beautiful tool. You can really tell if there’s kind of two wheel tracks going through the middle of it. You can look at a plat map and see if there’s legal access, there’s platted out easements around the perimeter of the property, or properties leading to it, so there’s lots of stuff you can do. I’m talking about the property that there’s just no hope. Jill DeWit: I have a funny one I just thought of. Sorry. Jack Butala: It’s seven minutes into this and now we’re going to get off-topic with Jill. That’s a whole show, Off-Topic with Jill. Jill DeWit: I’m so sorry. Am I totally interrupting your train of thought? Jack Butala: No, I think it’s great. Jack Butala: I’d rather horse around for an hour than talk about real estate. Jill DeWit: No, it’s one little thing about access, which I think is so funny though. Remember the one that we bought that there’s a bridge to the island and depending on what you wanted to bring on the bridge, you could tell on part of the island that someone had equipment at some time because with the aerial views, they had bladed something, there might be a shed on someone’s property, whatever, but there was a lot of tree cover, it was next to a river, gorgeous area, but I even questioned, do I need a boat to get over there kind of thing. You know what? These people bought it, they loved it. Jack Butala: That’s why they bought it. Jill DeWit: They loved it. I’m like, I was kind of scratching my head on that one, and I knew it’s going to be a special person, but you know again, I priced it so well, we priced it so well, that they’re happy. Jack Butala: I do remember that deal and I got involved. I don’t always get involved in every deal now, but I did get involved in that because somebody asked me to. They said, “Does this thing have access?” I looked into it and called some people and it did. It totally had access. It was not without jumping through a couple of hoops to get it, but still, this is real estate we’re talking about. I remember you ended up selling this property to somebody who wanted to have only boat access. Jill DeWit: Yeah, like they were fishers or something. Jack Butala: Could they get drive up access to it if they wanted to by clearing some weeds and stuff? Yeah. Jill DeWit: Yeah, and it was on the edge. It was waterfront. That was the beauty of it too. Okay. It was no one’s going to bother you. Whoever is on that island, you guys have your own little community, whatever you want. I think that’s what they loved. Jack Butala: I always think like buried treasure. This has happened for 15 years. People call us and they say, “We want property you cannot get to. We want to put some stuff out there”, and I never ask any questions. Who knows what’s going on. Maybe they’re going to bury a treasure. Jill DeWit: I never thought about it that way. Jill DeWit: Do you think there’s bodies on all the stuff that we sell? I’m just kidding. Jack Butala: Bodies, now it’s bodies. I think there might be buried treasure. Jill DeWit: We’re going to call it buried treasure. Oh my gosh. Jack Butala: There’s so many derogatory things going through my mind right now. Jill DeWit: Oh okay. Got it. Okay. All right, so let’s talk about this. Jack Butala: I don’t think that you want to own the land if you’re going to bury a body. Jill DeWit: Guess they might tie it back to you. Jill DeWit: He bought 40 acres and his wife went missing. Oh sorry, I can’t say that. Jack Butala: Why is it the wife? Why not the husband? Jill DeWit: That’s a good point. She bought 40 acres and the husband went missing. You’re right. Jack Butala: Oh, I’m going to watch my back. Jill DeWit: You should. I own a lot of property that you don’t know about, and there’s no access. I just have to fly over and drop you. Just kidding. Jack Butala: There is a lot of cameras on you right now, you just don’t know it. Jill DeWit: Oh great. Thanks. I got to step outside, there’s a camera. That was funny. Okay good. We talked about properties that we won’t buy no matter what, how cheap, we talked about access. What other thing would trigger you as something that you just won’t touch? Jack Butala: Properties that are specifically zoned heavy industrial because our deal flow is so … We have so many properties in the pipeline all the time, I tend to just veto heavy industrial properties for environmental reasons. I don’t want to really go into it because it really scares the hell out of people when I talk about this, but I don’t want to go into it. Jill DeWit: No, that makes sense. The bottom line is, it’s a rule, we don’t even have to go there, you don’t even have to think about it. Do I really want to worry about any issues like that? Jack Butala: You don’t want to end up cleaning up environmental or hazardous stuff that the guy who owned it before you, you just don’t want to get involved in that. Jill DeWit: Are you talking like that movie that what’s her face was in? Jack Butala: No. This is what I’m talking about. It scares people out of this business sometimes. Jill DeWit: Then let’s not talk about it. Jill DeWit: How about commercial property? Jack Butala: Yeah. It sends up a yellow flag, let’s say, and I look at it a little bit harder, commercial property, but 99.9% of the stuff we buy, you know is as of far, single family residential or rural acreage, or vacant land. Jill DeWit: Rural residential, vacation. Jack Butala: I’ve never seen vacation. Jill DeWit: I have seen stuff like that. Jill DeWit: Recreational, that’s it. I’ve seen that. Jack Butala: Yeah. When it’s any type of industrial zoning or designation, I tend to look at it really clearly and most of the time don’t buy it. Jill DeWit: Got it. What about stuff on the side of a mountain? Jack Butala: We kind of covered that. No. If it has access problems, you can see it right away. Google Earth is 3D. You can see if it’s in the side of a mountain very easily, so I stay away from that. I don’t know what else. I wouldn’t buy, I don’t know. I don’t [inaudible 00:11:42]. Jill DeWit: What about any legal reasons? Jack Butala: Yeah. I wasn’t going to say this, but I’m going to say it. I won’t buy property from somebody who is just an agitated, awful person. I don’t care how good the deal is, I’m just at the point in my career where I’m not going to take it. Jill DeWit: Do you find those often? Jack Butala: Yeah. I’m going to tell you a story. Jill DeWit: I’d like to hear this story. Jack Butala: I think you may have heard this story, but maybe the three listeners that we have, haven’t heard this. Jill DeWit: I think we’re at two now. One just dropped off. I bought this property from a guy in Texas, and it was 10 acres, and let’s just say his name’s John. It’s not, but he called me every half hour, “Where’s my money? Where’s my money? Where’s my money?” This is a lot of years ago, so finally I said, “John, the next time you call me, the price is going to be half of what I quoted you” because I was done with the deal mentally. Sure enough, a half hour later he called me and I said, “Good”, I don’t remember the numbers, but let’s say it was $5,000, now it was $2,500. He said, “Okay”, and I said, “If you call me again, it’s going to be half” because we’re talking about closing the deal in three days. It’s not like we had to wait. I got a heart. The guy obviously needed some money, but after the 40th call, that’s it. After 40 calls, it’s over. What happened, he called me again. I said, “All right, now it’s half of that.” I said, “Listen, please don’t call me anymore. You stop calling me.” I said, “Someone’s going to show up at your house this time with a check. We’re going to need a signature, notarization, all of that”, so that happened, but he was just … It gets worse after that. There’s some people that are just very, very angry. A lot of people I’ve noticed … Jill, you’re so much better at this than I am. Jack Butala: Let me say this. Jill DeWit: They want to take me to lunch when I’m in town. Jack Butala: We’re talking about deals we won’t do. Jack Butala: Which is a tiny, tiny little percentage. Almost everybody thanks us. I bet 90% of these people thank you. Jill DeWit: Yeah. Remember the cat lady? Literally her cat had cancer. Jack Butala: Yeah. We have a bulletin board in our office for thank you notes. Handwritten thank you notes from people that buy our property and sell our property. Jill DeWit: Right. She was so relieved to get some money to help pay for this for her cat stuff.